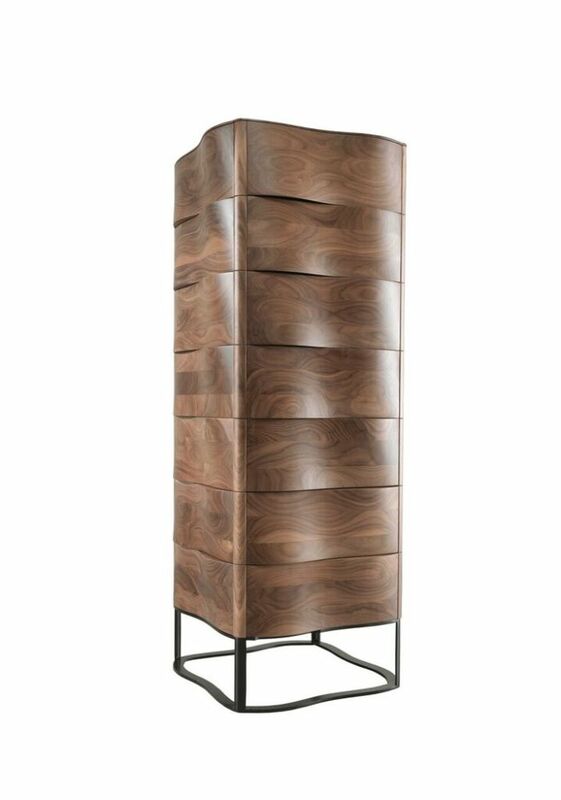 A chest of drawers with a round shaped silhouette that reveals the wood flexibility and beauty, and wakens the desire of feeling its shape by touch. Exterior in solid wood and interior in natural veneered mdf. Base made of iron with matte electrostatic paint. Touch stands out for the elegance with which the combination of natural oak with iron was achieved. Designed for storage purposes, touch is an object that appeals to our senses and to the most sophisticated tastes. "Suricata Design Studio design are a collective located in Oporto’s Downtown.Going through a normal process of growth, evolution, acknowledgement and continuing professional development, maturity and professional experience have been obtained due to a direct engagement with national and international scope projects, with a special emphasis on areas such as automotive design, aeronautics, equipments and the itc. Their creativity has been displayed in projects carried out for clients like tidal sails, pele, j.p. Sa Couto, Nxtech, Mca, pure mobility, p95, among others. they embrace a new challenge, aiming to express, demonstrate and feed their beliefs and aspirations as creative specialists. They develop their work within the industrial design range, having a set of connections with formal and informal partners, which allows to provide adequate responses to requests of any creative sphere."